Vehicles are often left riderless when their owners die, at least momentarily; however, riderless doesn't mean useless. 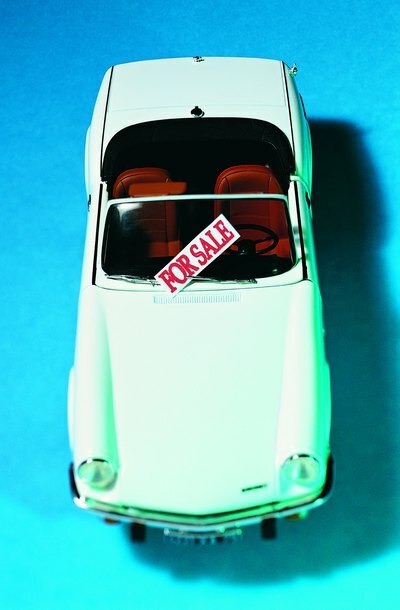 The cars can be sold so beneficiaries of the deceased can use the money from the sales. Even if you are the vehicle owner’s close family member, the title of the vehicle must be in your name before you can sell it. Michigan has a specific procedure for putting a vehicle in your name when you are the closest relative to the deceased owner, enabling you to keep the vehicle or sell it as you wish. The process for transferring title into your name depends on whether the decedent’s estate is being probated. Probate is the process in which a court appoints a representative to manage a decedent’s estate, pay his debts and distribute any remaining assets to his heirs, but not every estate has to be probated. For example, if a decedent didn’t own property in his name, or all of his property transfers automatically at death to his beneficiaries, his estate typically won’t require probate. If the combined value of the decedent’s vehicles is $60,000 or less and his estate does not otherwise require probate, the decedent’s vehicles can be transferred without going through probate. If a decedent’s estate is not being probated, his surviving spouse can transfer the decedent's vehicle title into her own name; if he did not leave a surviving spouse, his closest next-of-kin can do the same. The spouse or next-of-kin must take the title, current registration or license plate number, and a copy of the decedent’s death certificate to a Secretary of State Branch Office. He must complete a form called Certification From the Heir to a Vehicle, but he does not need a new license plate since he can continue to use the decedent’s plate number. When an estate is probated, the estate’s court-appointed representative controls the decedent’s probate estate, including his vehicles, and the representative assigns the vehicle titles to the appropriate heirs who are entitled to inherit the vehicles. To transfer a title to an heir, the heir must provide the vehicle’s title and a copy of the representative’s Letter of Authority, given by the probate court, to the Secretary of State Branch Office. As with a non-probate transfer, a vehicle inherited by a spouse or closest next-of-kin keeps the same license plate the decedent had. If the decedent owned his vehicle jointly with you, the transfer process is simpler, as long as the title gives you rights of survivorship as evidenced by the words “Full Rights to Survivor” printed on the title. This means you automatically become the full owner of the vehicle as soon as the decedent dies, regardless of your relationship to the decedent. However, you must still provide the title and a copy of the decedent’s death certificate to the Secretary of State Branch Office to remove the decedent’s name from the title. If you intend to have money in your bank account go to a beneficiary you name in your will, you may need to check with your bank to see what type of account you have. If your bank accounts are set up with mechanisms to transfer ownership automatically upon your death, your executor does not have a right to access those funds and the money may not go to the person you name in your will.